I got this picture from a post on the Corvette forum of someone elses car. 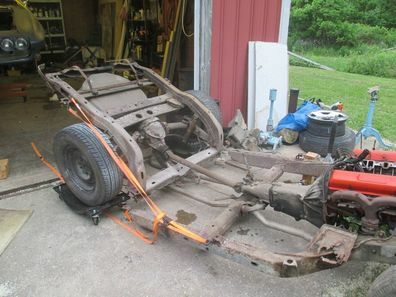 It is a good example of the worst case for rust on a C2 63-67 Corvette frame. 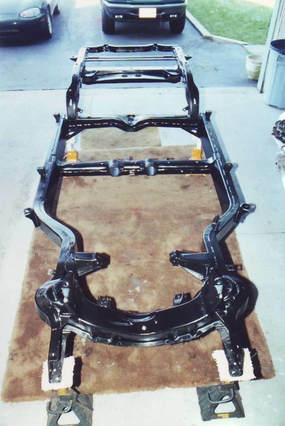 Your 63-82 Vette frame a little rusty like this one? But this is what you can get if you are an inexperienced buyer of Vettes. Hire someone who knows these cars before buying. It can save you from a wrecked frame like this one.